Hockey is really popular now, especially in Canada, Sweden and Russia where almost every major city freezes because of the cold weather. The hockey puck is such a cool invention. It moves along the ice like a bullet if you hit it right. The technology of hockey skates and sticks is making the game one of the fastest sports in the World. It’s the first time you’ve ever been excited to grab a broom… you won’t even need a dust pan. 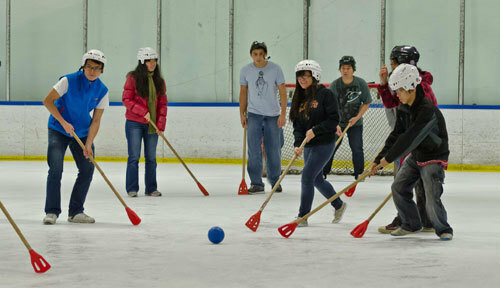 Broomball is just like hockey, except instead of a puck, you can use a big ball… instead of a hockey stick, and you use a broom. Now make two teams and make two goal nets and sweep up a storm! Everyone loves making fun of the Triple Salchow (Sow-Cow), but let’s try to recognize figure skating for it’s main attraction… the costumes. Figure skating has brought out the most flamboyant costumes that no other sport has to offer. With the right choice of music and the style and grace of a swan, figure skating is the one sport that can bring tears to your eyes. Curling is just like a huge shuffleboard on ice, but it really is a sport and not just a game like fooseball. Curling is a strategy sport but much like golf, it requires a good deal of balance and touch to move across the ice in control. 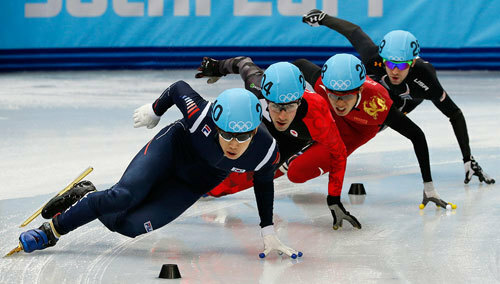 The Winter Olympics holds the biggest speed skating races with all the fastest skaters in the World and it truly is an exciting sport to watch. The most amazing thing about speed skating has got to be the big long blades that the skaters wear to skate faster. One wrong move and a skater can catch an edge and wipe out. 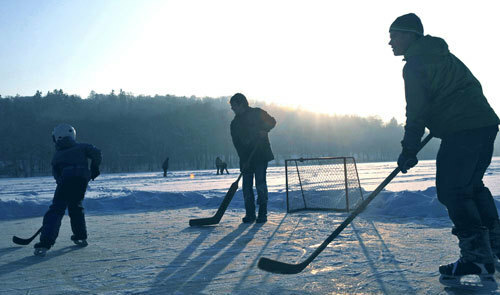 Do you know a fun sport or game to play on the ice? Let us know so other kids can learn what to do in the winter fun!